Stuffing is arguably the best Thanksgiving dish. Why do we even bother with the rest? But I've never been turkey's biggest fan. And my first exposure to cranberry sauce was the canned jelly stuff. 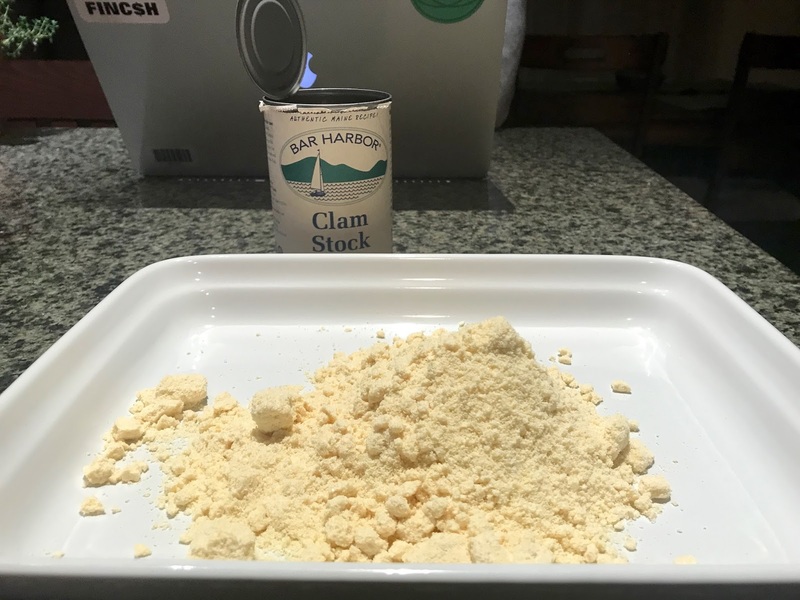 And I have a bad food memory of mashed potatoes (the box of dried flakes kind but it extends to all mashed potatoes now). So like... stuffing is kind of my best bet. I like the kind with large chunks of bread and meat component and sweet component and herbs and broth. 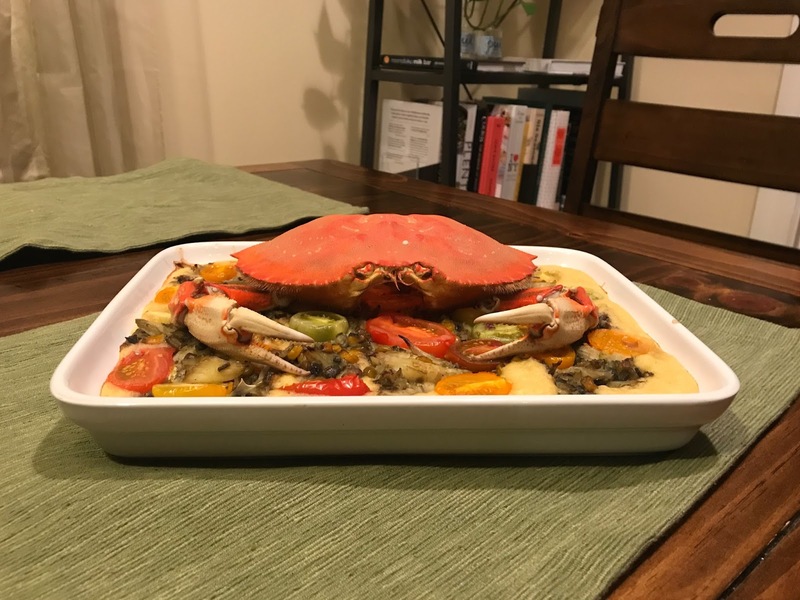 So come Friendsgiving, I decided to make one of those... but like... what about crab? 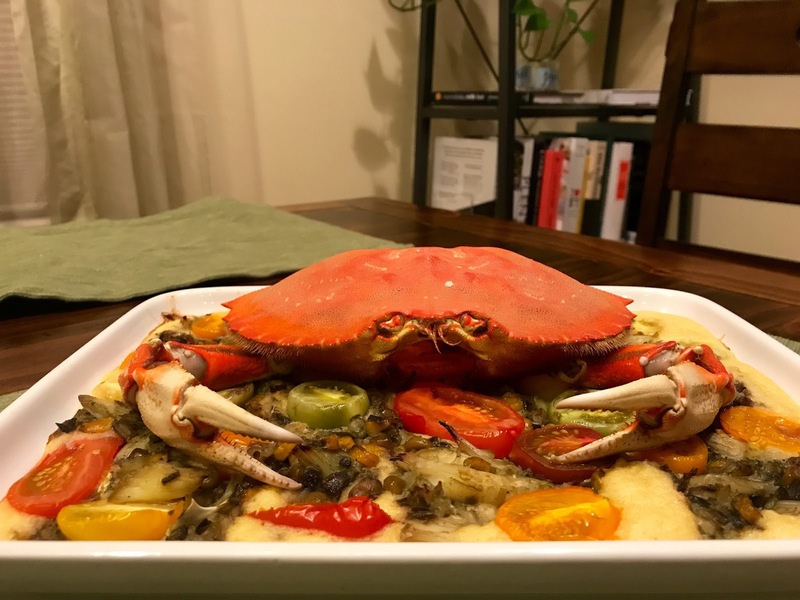 What about Dungeness crab? It's so representative. And how convenient it is that it's also crab season on the west coast. Recipe tested at Friendsgivings and refined at home with all the extra ingredients. I'm thankful for cornbread mix. 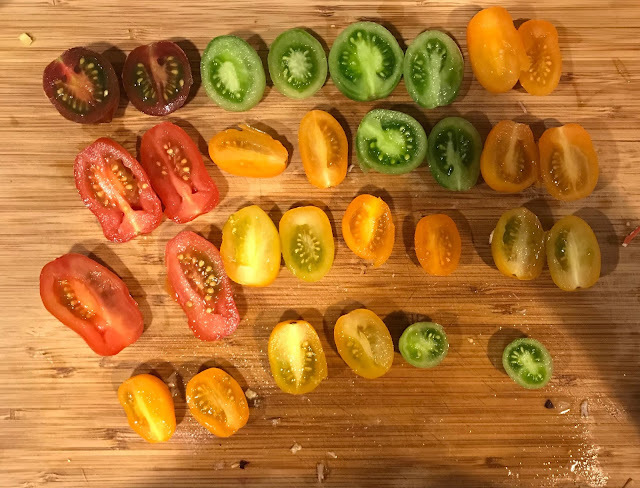 Luke even arranged the 'maters after slicing them so carefully. Thankful for his tremendous help in the kitchen. Thankful that this crab was so easy to dismantle. From fridge to table in something like two hours. And it's thankful for all the tomatoes.